The ideal state for a family looking for adventure, South Dakota has prairies, beautiful lakes, and mountains to explore. Towns that are modern and bustling and others that are straight out of the Old West dot the state, and your SD vacation rentals will provide the best opportunity to experience comfort on your vacation and set out to see many interesting attractions. Pick the type of natural environment you want and chances are South Dakota is the place for you. South Dakota is divided up into the west, where the Black Hills and Badlands await fantastic exploration of monuments and caves. There are many national parks to visit as well as Mount Rushmore and the Crazy Horse monument. Hike a mountain or wonder at towering monoliths. Families looking for time out on the water can find South Dakota rentals in the central part of the state. The Missouri River and several reservoirs are perfect for boating as well as swimming, fishing, and windsurfing. On top of spending time on the water or exploring rugged landscapes, SD condo rentals offer the convenience of more space for relaxation, especially in comparison to a hotel or motel room, and everyone will enjoy planning for and reminiscing on their day. In the northeast, there are lakes as well as prairies, so during a South Dakota vacation by owner, you'll find it a home away from home as everyone takes in the peaceful openness of the prairie. Rugged adventures can also be had if you stay in the southeast part of the state. Enjoy outdoor adventures and arts and culture in cities such as Sioux Falls. Visit the cities of Pierre or Rapid City, or set your sights on an archeological museum or cave. The family can also go on a quest to explore Native American culture, at a museum or at an Indian village. South Dakota seems like a distant landscape, but it is not all that far away. When you stay at SD condo rentals, you'll find the choice more sensible on your budget as well, certainly when you factor in the added amenities and closeness to where you want to go. Whether the family sets out to spend the afternoon at a waterpark, zoo, or play miniature golf, or go on a scenic drive through the countryside, South Dakota has it all. The Children's Museum of South Dakota in Brookings will be a thrill for the kids. For anyone looking for physical rejuvenation, there are a few spas around the state, but the wildlife parks will offer a fascinating look at the native animal species that you've only heard about until now. South Dakota is a state full of adventures. Stay at SD vacation rentals and enjoy the freedom outdoors and in, enjoy a restful morning, or have a private family dinner in the evening. 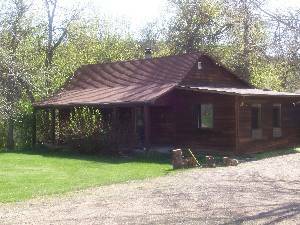 The options included with South Dakota vacation by owner properties are many, and you'll find comfortable accommodations suited for the whole family at a reasonable rate. When you stay at South Dakota rentals, you'll find it a much more interesting time than a hotel or motel stay, and you'll be much more refreshed to get up and go explore. You will enjoy your fun family adventures and remember them more fondly, but most of all have peace-of-mind when you are here. Check out nearby Black Hills , Custer , Deadwood , Hill City , Hot Springs , Kadoka , Keystone , Lead , Nemo , Rapid City , Spearfish , Terry Peak , Watertown .